Plant your garden! If the recent May rains have kept you from transplanting or direct-seeding your spring vegetables, June is the perfect time to get your garden established. Learn more about Maine Harvest for Hunger and reach out to a local food pantry. It’s best to know what produce your local pantry or soup kitchen can use, so planting only those items for donation will make the biggest impact with their clients when it’s time to harvest. Consider installing Trickle Irrigation to conserve water and limit disease problems. Targeting water to your plants will also reduce weed seed germination. Assist a neighbor who may not be able to garden any longer due to age or disability. Even helping them plant a patio tomato can make a big difference in the life of a former gardener. Fertilize your lawn, if necessary. Lawns older than ten years probably do not require supplemental nutrition, but for newly established lawns, early June is the best time to give them a boost. Visit local farms for pick your own peas and strawberries. For a searchable listing of farms in your area, visit the Maine Department of Agriculture’s Find a Farm tool. Keep an eye out for insect or disease problems in your garden. Frequent observation will help you identify problems early on and manage them more easily. Consider composting! Home Composting can be a great way to reduce organic waste at the local landfill and eventually add organic matter back to your garden soil. Join a CSA. If you would like to have fresh, local produce all summer long, but you don’t have all the space or time to grow it yourself, you can purchase a share in a CSA (Community Supported Agriculture). The Maine CSA Directory can help you find a farm close to your home. National Pollinator Week is celebrating its fifth year of publicizing the value and benefits that pollinators like bees, birds, butterflies, bats, and beetles provide. Governor LePage has also proclaimed the same week as Maine Pollinator Week. By supporting wildlife, providing healthy watersheds, pollinating food crops and more, pollinators enrich our lives. About 1,000 plants grown for food, beverages, fibers, spices, and medicines need to be pollinated by animals in order to produce the resources on which we depend. Do you enjoy apples, strawberries, blueberries, chocolate, melons, peaches, figs, tomatoes, pumpkins, and almonds? Thanks to pollinators we can harvest and cook with these foods. In the US, insects pollinate about $20 billion worth of food each year. Pollinators are in decline in recent years and threats to pollinators also mean threats to the benefits they provide for us. We can work in partnership with these pollinators by designing our gardens to include pollinator friendly plants and resources. All life needs a source of food to survive. Pollinators’ food of choice is nectar and pollen. 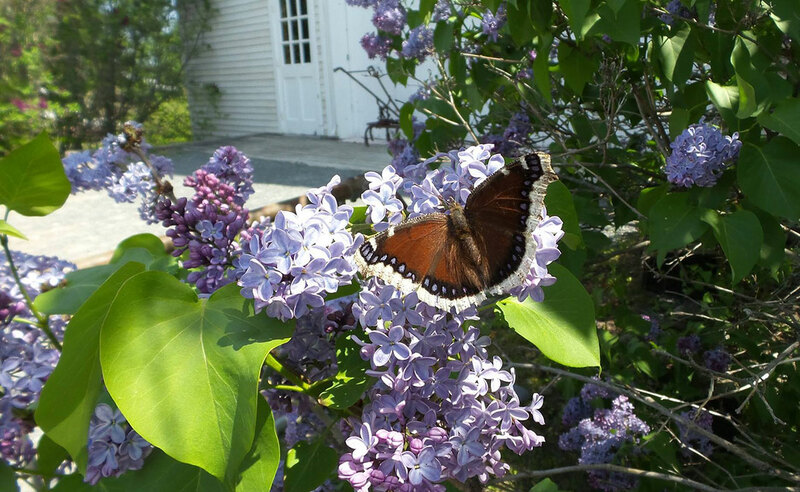 Designing your garden spaces to include tree, shrub, annual, and perennial sources of food from early spring to late fall makes life easier for pollinators. 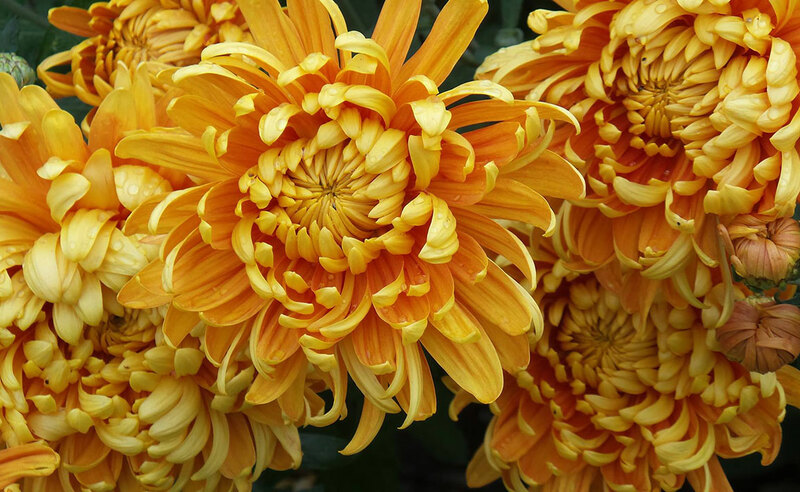 Plant choices should include easy-to-access, single flowers in a variety of sizes and shapes. Vibrant colors like blue, red, yellow, and purple attract pollinators. Use native plants when possible because, often, plants and animals have developed mutually beneficial relationships. Only specific local insects pollinate some plants and some animals only feed on specific native plants. We can enhance these local ecosystems with our plant choices. 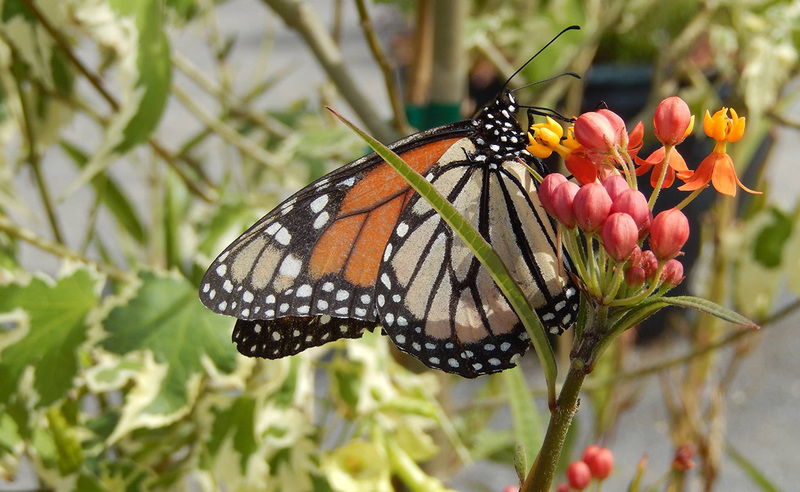 Some plants that are useful for pollinators include: butterfly weed, milkweed, Jack-in-the Pulpit, creeping phlox, Cardinal flower, wood asters, and goldenrod. Remember that the larval form of some pollinators also require specific food. Water is another critical basic need for pollinators. If you do not live near a stream or pond that can serve as a water source, you can add a birdbath with a perching rock in it, or water garden. Be sure to clean out any standing source of water two or three times a week to avoid the development of mosquito populations. Shelter is a third essential requirement for any life form. Pollinators need nesting sites and overwintering sites. Some bees nest in the ground or in tree branches or twigs. There are also directions for building bee, bat, and bird nesting boxes on the web. See Bulletin #7117, Birdhouse Basics for plans. Some pollinators can find shelter in dead wood or in rock walls. Preserving a well thought out, pollinator-friendly garden also may mean removing non-native plants like Japanese Barberry (Berberis thunbergii); Burning Bush (Euonymus alatus); Autumn Olive (Elaeagnus umbellata). Reducing or eliminating pesticide use also benefits pollinators. If you feel that a pesticide is necessary, be sure that you have identified the specific pest and that you have chosen to use the least toxic pesticide that is appropriate for control such as insecticidal soap or horticultural oil. Do not use pesticides when pollinators are active or when plants are in full bloom. For more information on National Pollinator Week, visit the Pollinator Partnership website. 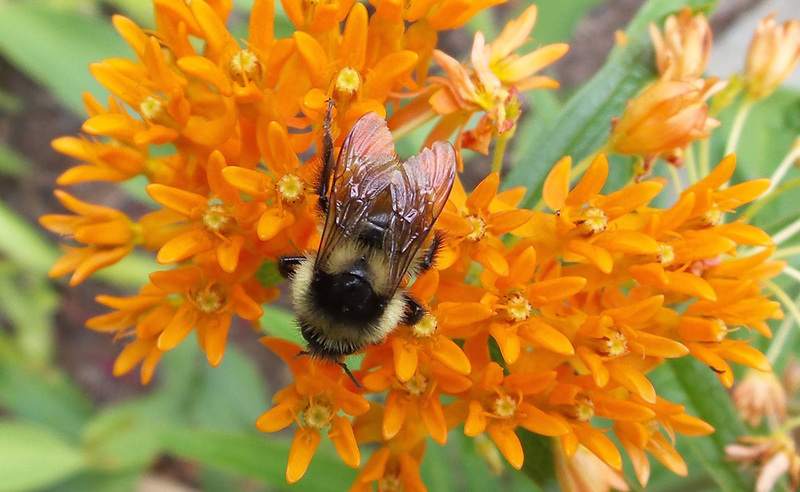 For information on bees and pollinator friendly gardening, see Bulletin #7153, Understanding Native Bees, the Great Pollinators: Enhancing Their Habitat in Maine. You’d like to plant a vegetable garden, but you have no idea where to begin. We understand. Gardens can provide food, add beauty to the landscape, provide exercise, save us money, and allow us to connect with family, friends, and community. However, vegetable gardening in Maine, especially for the beginner, can be quite challenging. You probably have a million questions: Is my soil any good? How do I fertilize, and which one should I use? What should I grow? What bug is this? University of Maine Cooperative Extension is here to help with a quick overview of suggestions, and to remind you of the great resources available, such as Maine Home Garden News, which comes out monthly during the gardening season to guide you with timely tips written by Extension experts and Master Gardener Volunteers. Be sure to check out our archived issues. 1. 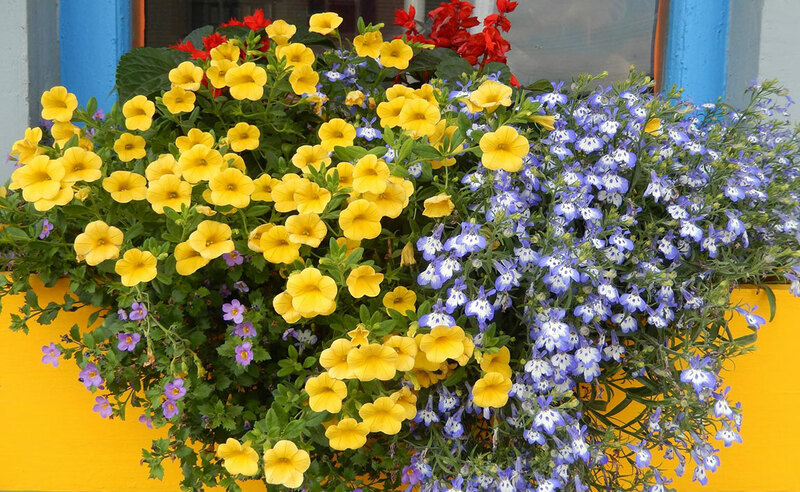 Choose an appropriate location or consider container gardening. When choosing a site for your garden, consider locations that have full sun and well-drained soil. If you are lacking space, or your soil is less than ideal, consider creating raised beds or planting in containers. For a step by step guide to raised bed construction, including video clips, see Bulletin #2761, Gardening in Small Spaces. For best results, be careful to also choose a location that you are likely to see every day so you don’t forget to water or weed. You should have a soil test in your garden every two years, and prior to putting in a new garden. The results of your soil test, particularly from a new location, will tell you if your soil has lead (typical near old buildings in Maine) and what amendments you may need for optimum plant growth. Information on soil testing is available in Bulletin #2286, Testing Your Soil. Soil test boxes and forms are available from your local UMaine Extension county office, or from the Maine Soil Testing Lab. Each standard test costs $15. Be cautious before tilling your soil. Tilling wet soils destroys soil structure and causes clumps of soil to form, which makes some gardening practices hard to perform (seeding, hoeing, etc.). Once you have tilled your garden, some of the first vegetables that can be planted include peas, lettuce, and spinach. 3. Make a plan and consider documenting the process. Slope: Placing rows crosswise to a slope will prevent seeds and soil from ending up at the bottom of the slope after heavy rains. Watering: If you are thinking about using drip tape or sweat hoses to water your garden, place them in the garden at four-foot intervals (make sure to have the connector end of the hoses on the same side). Then, plant a row of vegetables 3 inches to 4 inches on either side of the hose. This will provide a two-foot path between rows of crops. Wide beds: Rather than a single row of vegetables surrounded by two paths, you can create 4-foot-wide growing areas. These “beds” are wide enough to grow 4 rows of vegetables like carrots, beets, onions, and chard; or two rows of bush beans, broccoli, cabbage, and peppers. Be sure to choose varieties that have been tested to thrive in Maine. For beginners, another strategy is to choose hybrid varieties with some built-in disease resistance. What are the best varieties? See the Extension approved list in Bulletin #2190, Vegetable Varieties for Maine Gardens. Keep your ideas in one place and chart your progress through the season with a garden journal. Seek out other gardeners to compare notes and share observations. Your notes can come in very handy when preparing next year’s garden. The garden needs one to two inches of water each week during the growing season. A 10′ x 10′ garden will need over 60 gallons of water a week! With temperatures soaring into the upper 80s and 90s in July and August, keeping the garden well-watered is critical. Plants lose a lot of water through small openings on the undersides of their leaves called stomates. On hot, breezy days, water loss can exceed the water taken in by the plant’s roots, resulting in wilting. If the situation goes on uncorrected too long, the plant will die. Early morning and evening are the best times to water. Putting the sprinkler on a timer allows you to start and stop watering at optimum times. Drip irrigation, sweat hoses (round hoses that leak water from all sides), and soaker hoses (flat hoses with holes on one side only) turned upside down will put water at the roots where it’s needed, and can save 30% -70% of the water used in overhead sprinklers. When using a sprinkler, turn it off as soon as the soil becomes saturated and begins to run off your garden. This can occur quite quickly, depending on how dry the soil is. Wait until the water seeps into the soil and then repeat if time allows. Otherwise water again the following day. A covering of mulch will help reduce water loss from the soil through evaporation. Use the milk jug system for watering individual plants. Punch a couple of pinholes in the lower sides of a plastic milk jug. Remove the cap and place the jug beside the plant. Fill the jug with water. This system will provide slow, thorough watering over the course of an hour or so. Save your back from lugging all that water—see Bulletin #2160, Trickle Irrigation: Using and Conserving Water in the Home Garden. Controlling Garden Weeds, available among the publications on the Maine Organic Farmers and Gardeners Association website at www.mofga.org. There are many insect pests that like to eat the vegetables and fruits you are growing as much as you do! Before knowing how to manage a particular insect pest, you must correctly identify it. There are many resources available to help you identify insects, including your local UMaine Extension county office. A local staff member or an expert in the UMaine Extension pest management office in Orono can help you if you provide a sample. An online ID guide as well as submission guidelines for insects may be found at Pest Identification and Management for Maine Homeowners. Regularly check your plants for both insects and diseases. Watch UMaine Extension reports to see if late blight might be in your area and prepare for protective measures. Become a friend of UMaine Extension on Facebook for updates and pest reports! For info on many common plant diseases, check out our plant disease fact sheets. Make succession plantings of crops like beans to maintain your harvest of fresh vegetables throughout the summer. Plant small amounts to keep harvesting enough for fresh meals throughout the summer. Become familiar with the state-wide initiative that encourages gardeners to donate excess produce to food pantries — Maine Harvest for Hunger — formerly known as Plant-A-Row for the Hungry. 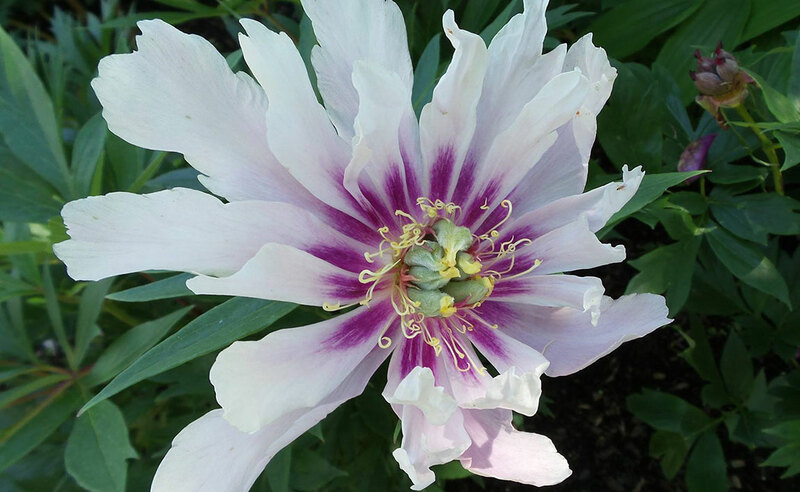 Launched in 2000 as a volunteer opportunity for UMaine Extension Master Gardener Volunteers, the program is now active in 15 counties, and is open to all interested gardeners. A beginner’s mistake of growing too much can be a good thing! Learn more about the many facets of this program through the website. The site includes food pantry donation resources as well as a guide to choosing, storing, and using your fresh produce. 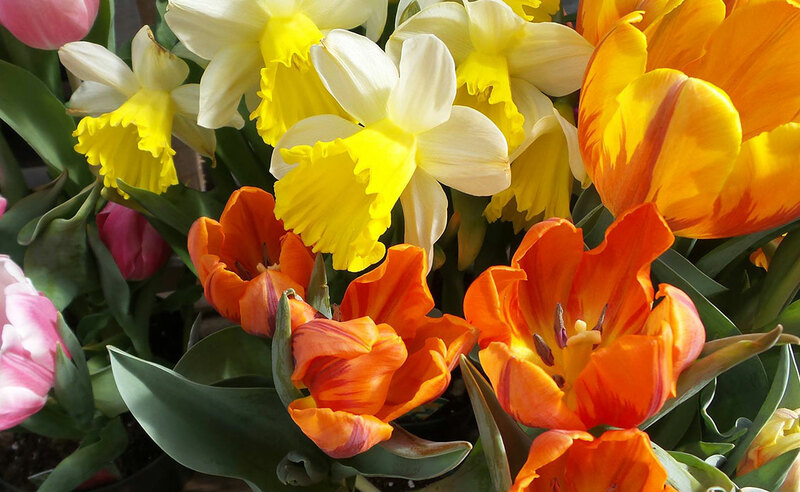 Limited seed donations, including flower incentives, are even available to get you started if you enroll! 9. Put your garden to bed in the fall. 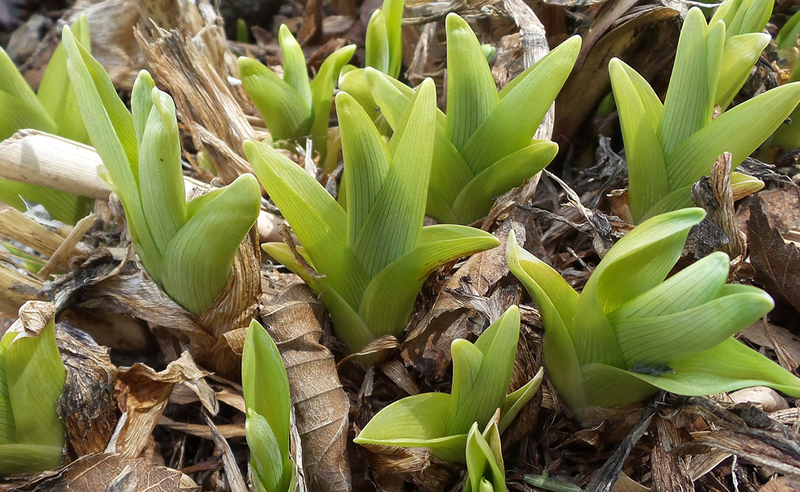 Remove all dead plants in your garden at the end of the season to prevent diseases and insects from over-wintering. It is best to plant a cover crop to prevent erosion of your garden soil by wind and water. Oats make a decent cover crop. Purchase a 50 lb. bag of whole oats (horse feed) for about $10.00 from your local farm/feed dealer. Sow the oats at a heavier rate as the month progresses. The oats will sprout and grow this fall and die at the first freeze, making a nice brown mat of dead stems and leaves. These will hold your top soil in place over the winter and can be easily tilled in next spring. If you run out of time to germinate a cover crop, mulching with straw can provide protection as well. University of Maine Cooperative Extension is available to support to all Maine gardeners. Visit our gardening website or call your local UMaine Extension county office with questions. Have a great growing season!